On-Line Telecardiology | CARDIO ON LINE EUROPE S.r.l. Telemedicine enables common people to access more rapidly and comfortably to specialist diagnostic. The remote medical check of a patient and the analysis of his/her biomedic are such tangible facts that the related Ministry recognized the importance of the issue by entitling a tailor-made Commission to define the guidelines, validate the use of dedicated technologies and offer “on line” services. Thanks to these new chances, studies and initiatives are multiplying, together with the desire of owning and managing these new systems. Telecardiology is the most impressive technology among the latest ones. Thanks to this technology, EKGs are remotely transmitted so that cardiologists can immediately deliver medical reports and consultations. Everything pertaining to the heart has always a particular fascination due to its emotional implications. The possibility to record an EKG without time and space restrictions, in an easy, rapid and highly reliable way, and the chance to transmit it digitally or simply via telephone to a wherever-located specialized receiving Station, is, without any doubts, an innovative technology. 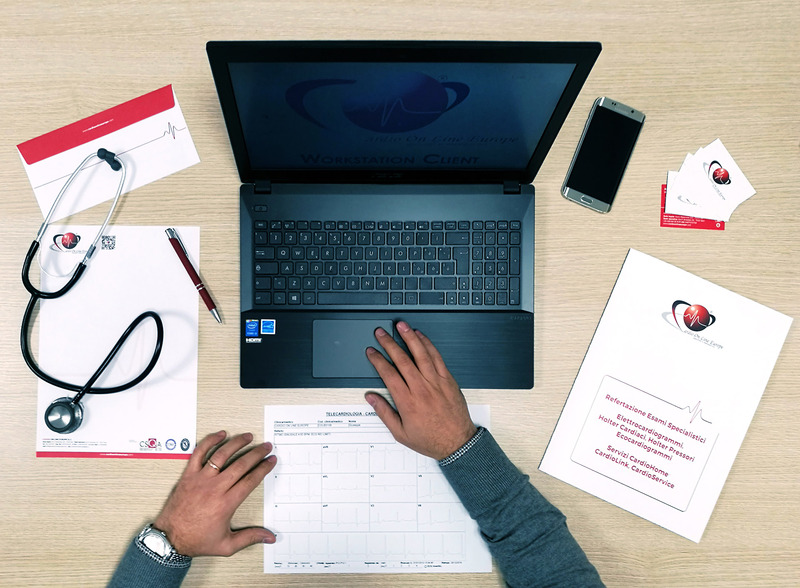 The opportunity to examine the transmitted EKG displayed on a PC of a cardiologist, who offers a real and precise “on line” consultation, together with the chance to send his/her medical report via mail, or to share it on the WEB, represent a technological innovation as well. The whole process takes only 5 minutes. This service is available 24 hrs a day and 365 days a year and it is delivered by the Telecardiology Central, that is constantly monitored by cardiologists.